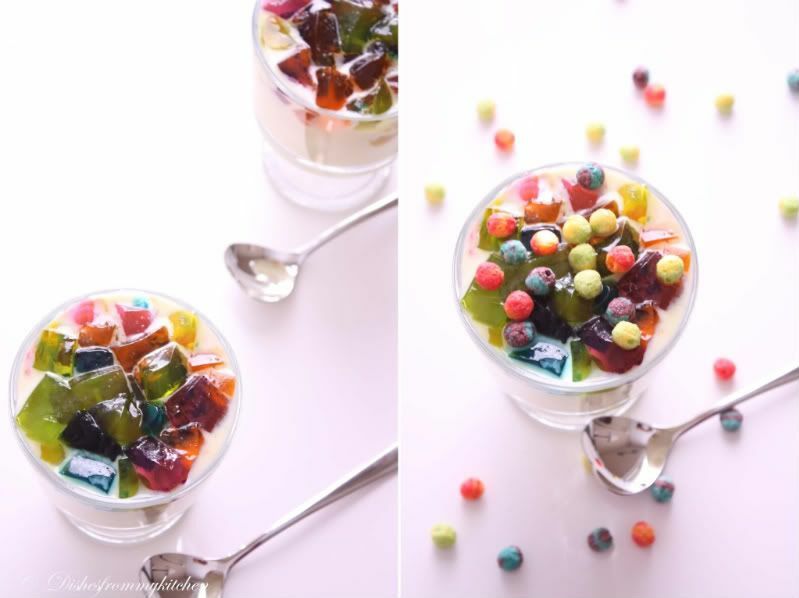 Dishesfrommykitchen: CUSTARD JELLY TRIFLE - WISH YOU ALL COLORFUL NEW YEAR 2011 !!! 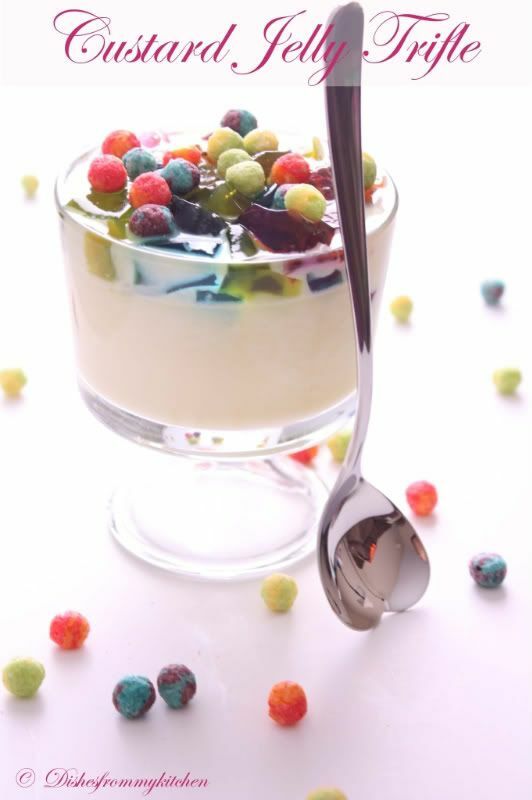 CUSTARD JELLY TRIFLE - WISH YOU ALL COLORFUL NEW YEAR 2011 !!! 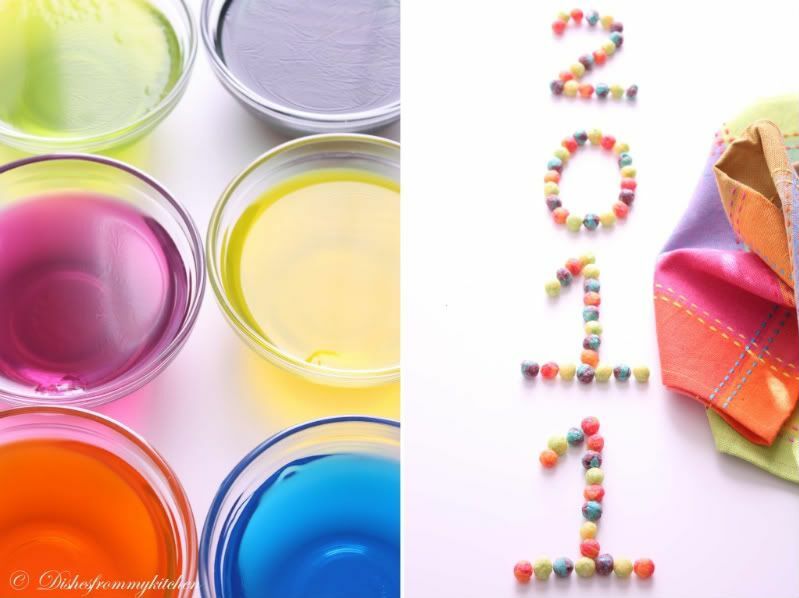 Wish you all a Happy and Colorful New Year !!! . Hope this year brings you Joy, Good luck and Good health. Custard - Preferably Vanilla flavor( Again its your choice) you can use store bought custard powder or see here for making custard cream. 1. Prepare the custard as per the package or see here for making custard cream. 2. Set the jelly and cut to cubes. 3. 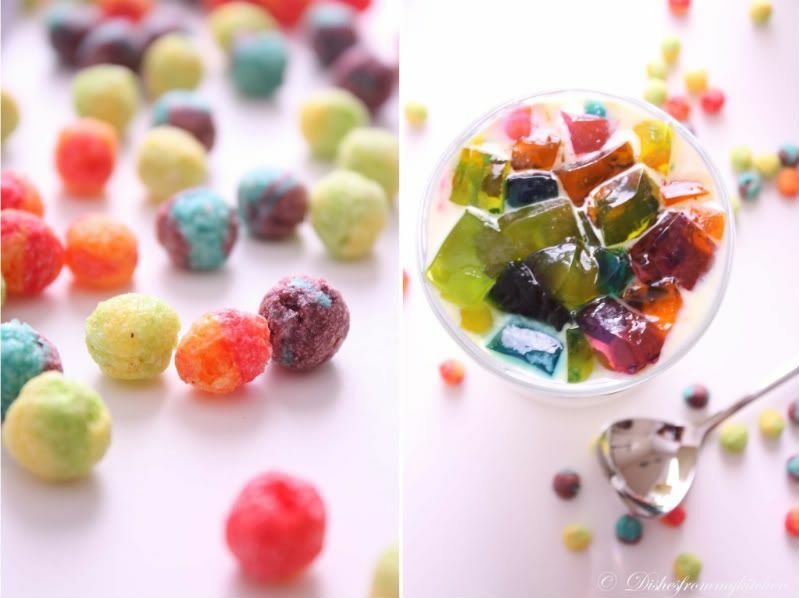 Pour the custard cream in serving glass top it with Jelly, Roasted nuts( optional) Trix Swirls ( optional). 1. Custard and Jelly are important items other than that other things are absolutely optional. Awesome presentation and food. You are really a professional with great talent. Happy New Year to you! Awesome clicks.....Wishing u and ur family a very happy new yr too! wonderful presentation .... lovely colours...Happy New Year...Enjoy.. What a lovely dessert! Love the colors. 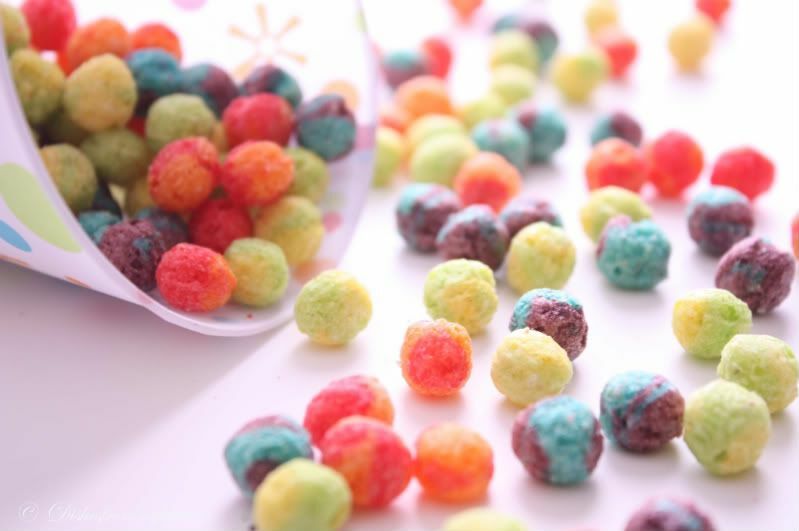 Would love to get those Trix swirls, difficult to get it at my place though. what lovely idea and riot of colours...never have seen such vibrant colourful jellies that too all in one place. a great start to a brand new year. Nice blast of colour. Custard's delicious. Happy new year. 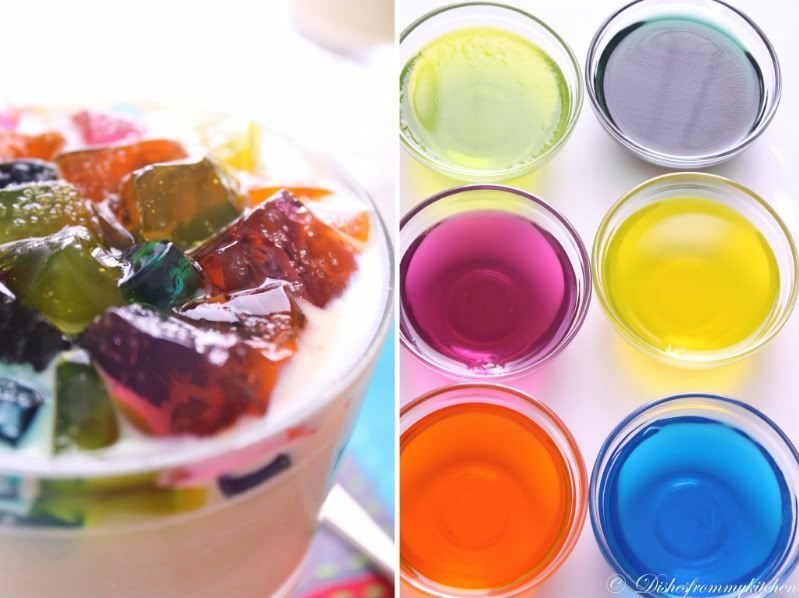 Nice clicks and awesome custard jelly recipe. awesome jelly dear....gorgeous click as usual..happy new yr....may all ur wishes be fullfilled this yr ! Amazing mix of colors! 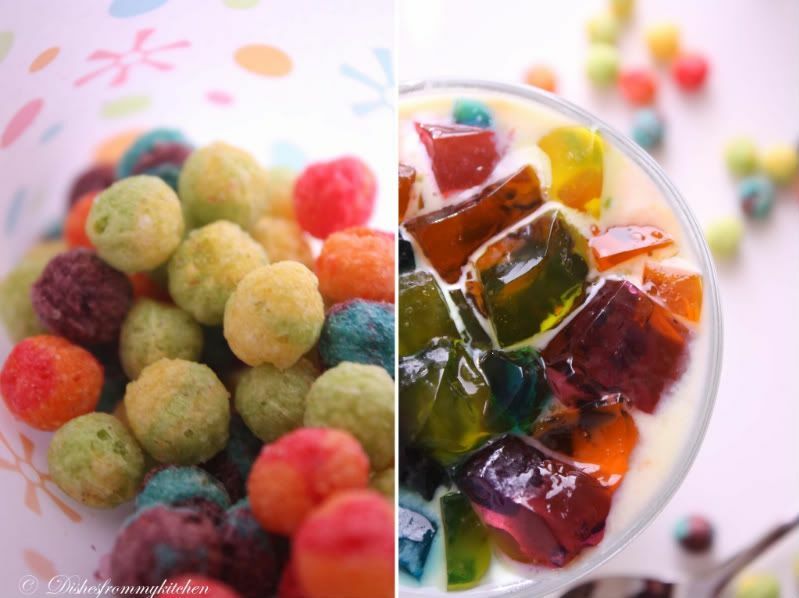 yummy custard jelly..
May you have a Prosperous and Colorful New Year! Yumumylicious recipe and clicks as usual! 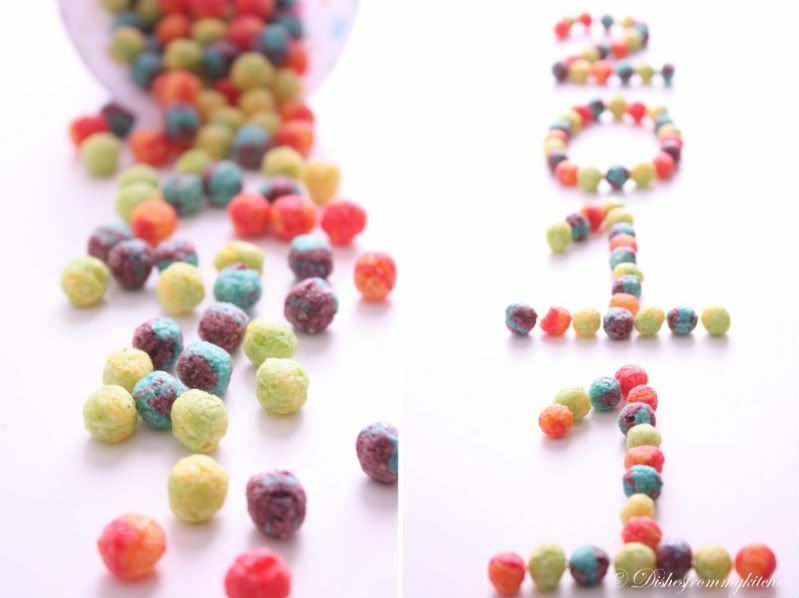 Nice and simle dessert idea,May your New year be as colourful and yummy as your lovely post! Amazing presentation! This is the only post I have seen and I am very happy to follow you. Wish you a very happy new year! 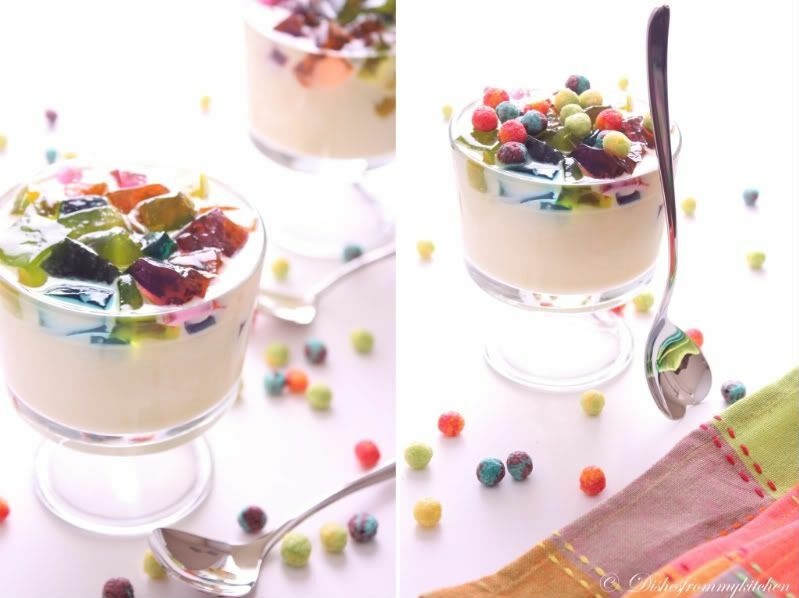 wow, that is such a colorful and delicious looking trifle, what an imagination and well execution. Happy new year to you too dear. Wow, to DIE for! Lovely shots & they just are making me drool. What a beautiful and colourful start to the new year. Great clicks! Very fun and colorful. Happy New Year. What a riot of colors! Here's to a new year which is as happy and gay as these pics look.! looks amazing... lovely colorful presentation! love the pics..custard looks fabulously yummy!!! 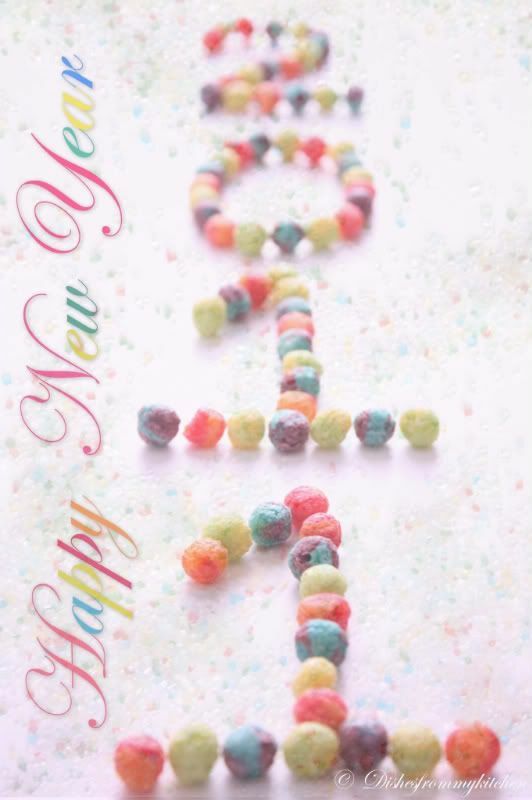 A very happy new year to u n ur family - Love the colorful n yummy recipe !! 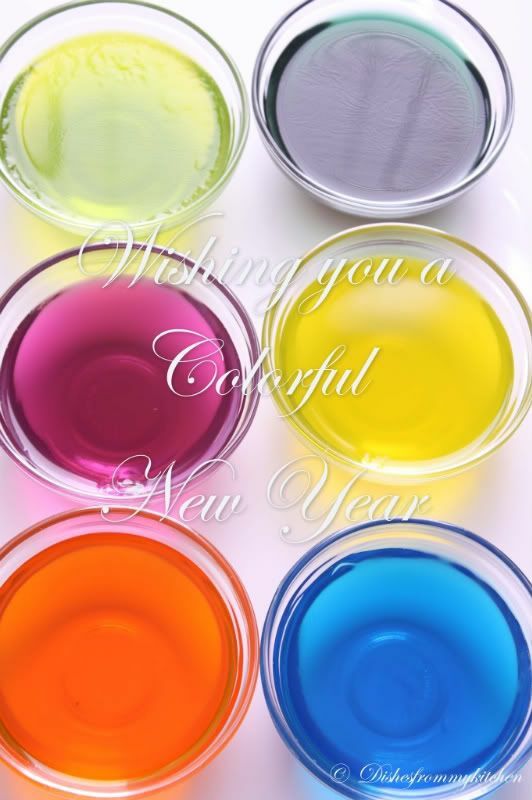 wow so colorful and tempting..
Looks wonderful.. colourful... wish you too a very happy new year ! Hi, Custard looks awesome. Thanks for mentioning the jelly you used as vegetarian jelly. All these years, I wasn't aware that gelatin is made from animal substance. After your post, I did do some research and found that I shouldn't use the regular gelatin from stores. Thanks a bunch.